I was poisoned in June of 2015 by cipro and it led to Chiari decompression surgery: taking a chunk out of the back of my skull, removing back half of my C1 vertebrae, and removing a piece (and then putting back) of the lining of my lower brain. IT CAUSED DRUG-INUCED CHAIRI. Then I had to fly to Barcelona, Spain to have the bottom of my spinal cord released to help reduce pressure on the bottom of my brain. Since the cipro I have been diagnosed with the following which I never had before taking the drug: chairi malformation, tethered cord syndrome, heart nodules, start of lymphoma, limpoma in groin, central apnea, obstructive apnea, peripheral neuropathy, cervical instability, and now a possible abdominal aortic aneurysm. Oh yeah, and I have gotten to spend the past two and a half years in bed. OMG I am so angry at all the damage done to people in the name of greed. I am so so sorry you have had to go through all this. IT is CRIMINAL. I have Chiari Malformation due to my connective tissue disease. I didn’t know that it could be caused by medicine. Fluoroquinolone antibiotics – Cipro, Levaquin, Avelox, Floxin, and a few others – cause tendon ruptures and collagen degradation. They should never be taken by anyone with an underlying connective tissue disease. Please be aware that these drugs can make existing connective tissue diseases worse, and seem to even trigger them (or trigger symptoms of them) in people who were previously healthy. That’s terrible! I am so sorry that you had to go through something so awful. Once the drug is out of your system, does the collagen go back to normal? No, unfortunately, the collagen and connective tissues don’t necessarily return to normal after administration of the drug has stopped. Some people do heal – I did. But some don’t. 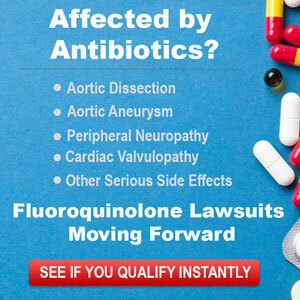 Fluoroquinolone antibiotics can cause permanent disability. Many of the disabling effects are related to collagen degradation and connective tissue destruction. Definitely avoid them like the plague. Would it be okay if I shared a link on my blog as well? Tell the world. We have to stop this happening. I agree. Antibiotics are also grossly overprescribed so a lot of the people taking it probably don’t even need it. If they were treated as powerful drugs with serious side effects then maybe Drs wouldn’t hand them out like candy. Hi, Steve. I want to talk to you about the aorta. You have Facebook? Give me your name. I want to talk. HI Steve ! Im so sorry for the hell that you go through. I also have chiari now. But i didnt take an fq, i took flagyl antibiotic. That has totally destroyed my life. They say that this chiari, was not from flagyl. but i do belive flagyl cause that. I never had problems like this before. And not only that , i have neuropathy all over, gut problems, swallowing and breathing problems, myopathy signs, severe unbalance and dizziness, vision problems, severe fatigue, memory problems, blood circulation is not working, and i have to walk with a walker.. And so much more. 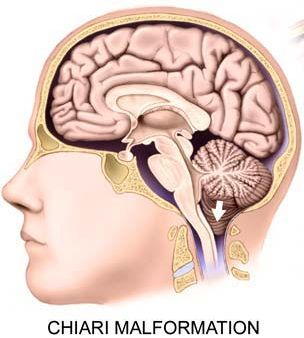 Do you feel that the surgery for the chiari, helped you in any way?